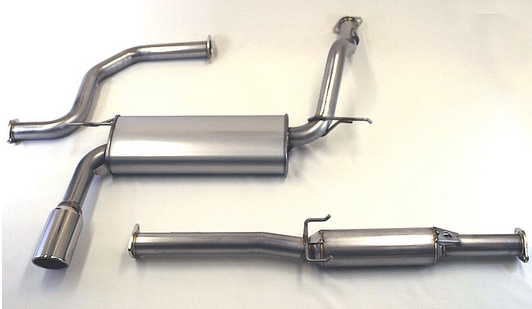 Sleek in design, this exhaust system's unpolished 304SUS setup maintains its subtle look while increasing horsepower. With the street enthusiast in mind, this system's mild tone hides the performance gains that many would normally believe are unheard of from a system looking and sound like the Ex-Mag. Designed for the street, the Ex-Mag is ideal in gaining horsepower throughout the entire power band. Its modesty is sure to surprise many, providing performance, style, and sound for every daily driving performance vehicle.